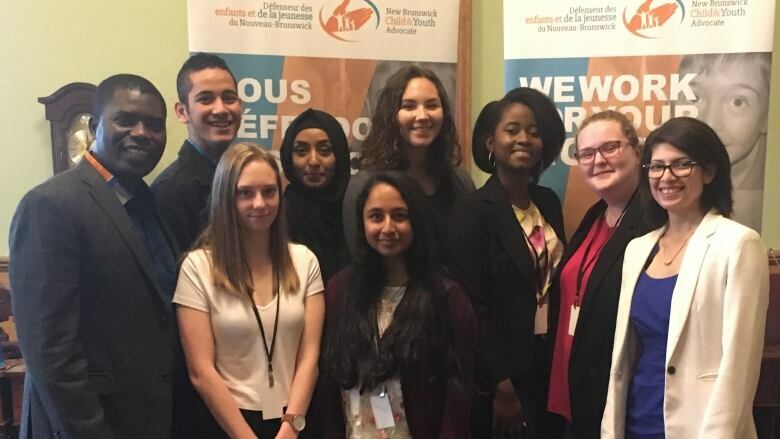 Young refugees and newcomers in New Brunswick say they face racism on a daily basis, usually from adults in school, according to a newly released report from the Child and Youth Advocate's office. Young refugees and newcomers in New Brunswick say they face racism on a daily basis, usually from adults in school. That's one of the findings in a report released recently by the Office of the Child and Youth Advocate. "We shared so many stories, and it was really sad," a 17-year-old participant in the Shaking the Movers workshop was quoted as saying. "I didn't know that it was that bad in school." The workshop brought together 36 students aged 12 to 17 from all around the province for a weekend at Green Hill Lake, about 35 kilometres west of Fredericton, in November 2017. The report was only presented to government officials last week after spring flooding delayed its release. None of the participants' names or the schools they attended were published in the report. "Refugees, and newcomers, exchange students, and Canadian-born youth alike came forward with instances in which they experienced some form of compromised rights in their schools," said a teen facilitator, quoted in the report. "Specifically, newcomers unanimously concurred that they experienced daily harms, more so from authority figures than peers." The report mentions a few specific racist comments experienced in schools. "We have been called monkeys," said a 17-year-old participant, talking in French about their experience playing sports. "A person told me not to go to a dinner with a Syrian family because I would be in danger," said another. Christian Whalen, a lawyer in the youth advocate's office who attended the workshop, said most of the racism is in the form of exclusion or a lack of understanding. "That assignment that you dispatched with an hour's effort at home is costing me 24 hours," he said, summarizing some of the comments from students about their treatment by teachers. "These are the kinds of things that they say go unnoticed or are not necessarily recognized." The cover of the report released Wednesday by the Office of the Child and Youth Advocate. The report makes 33 recommendations. Among them: better supports in all subject classes for students who are learning English or French as an additional language, better mental health supports, help to afford participating in sports, and more interaction with other students to feel included and learn about Canadian cultural norms. "There were peers from the same high school meeting together for the first time [at the workshop] even though they may have been several years in the same hallways, the same classroom," Whalen said. "There is that divide." The report suggests some kind of program be developed along the lines of Big Brothers Big Sisters or gay-straight alliances. "You know that's working really well for one vulnerable school population," said Whalen. "Here's another group who are new to the country and facing challenges. Could they have a peer support group?" Education Department officials at last week's presentation were very receptive in their initial response, he said. The report suggested groups that support newcomers, such as the Multicultural Association of Fredericton, could help bridge the divide as well, by integrating Canadian-born youth into some of their initiatives. It also suggested the association and equivalent groups should be involved in school discipline issues.